Hey there! 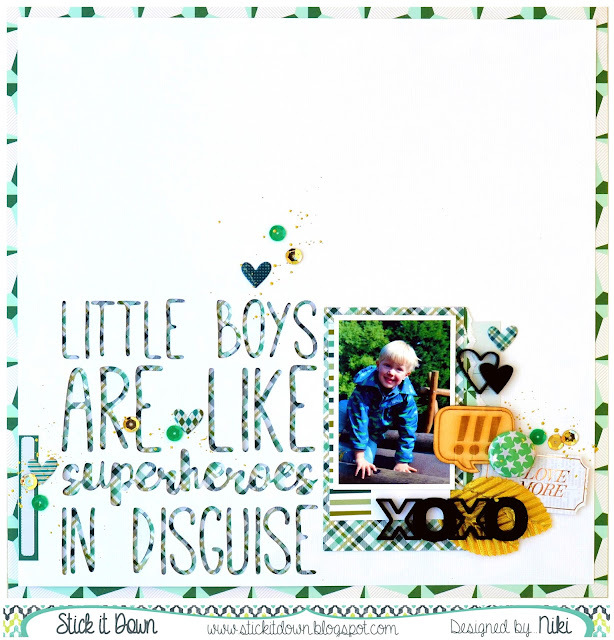 It is the Single Page Team Reveal over at Stick it Down today and I am there with this boy layout. I've stretched the sketch a bit but totally loved working with it. I've used a Paige Evans Turn the Page paper as a border and used some papers and journaling cards by Freckled Fawn for the rest of the layout. I've also used some of the gorgeous Perspectives by Branblefox. Happy scrapping and make sure you play along with the sketches this month.